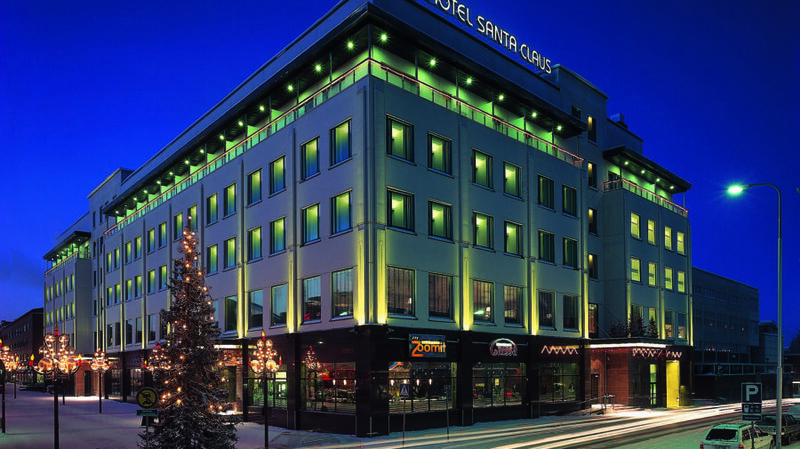 Santa’s Conference Centre is located in the basement of the hotel. 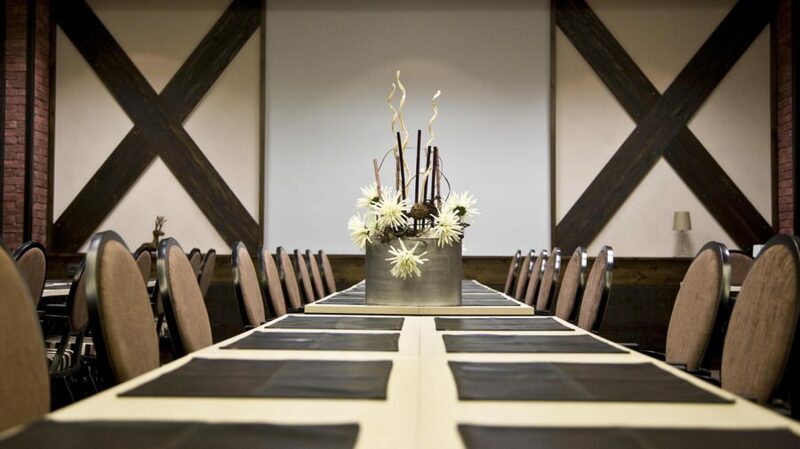 There are 8 meeting rooms from 20 to 300 persons. Three of the meeting rooms can be connected to one large space (250 m²), seating about 300 persons in theatre style. This room is suitable e.g. 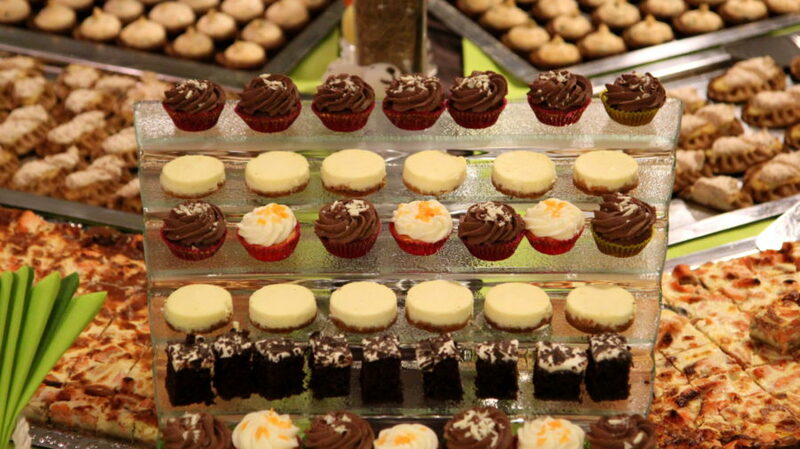 for small fair and exhibitions, concerts, theatre performances, cocktail parties, banquets, private gala dinners and of course conferences. Santa Claus Conference Center has a direct service access from the hotel garage. This gives client a possibility to bring large products like machines, cars etc. into the meeting rooms. 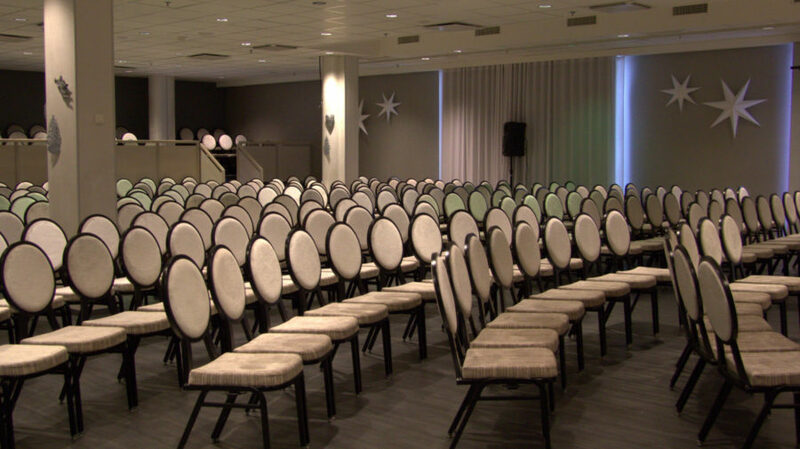 Further conference facilities are found on the first and second floor of the hotel. Kirnu is an elegant multifunction room suitable for up to 500 persons. Kirnu can be combined with the Foyer and has direct access to the restaurant. In addition there are several smaller and creative spaces for meetings. Like the Saunatonttu, sauna with meeting room and LinnanTähti, a small and cozy location with a large street level window. The Business Centre is perfect for e.g. effective one-on-one meetings and as a press centre. Restaurant Gaissa has been awarded by Chaîne des Rôtisseurs and the maintenance of this achievement requires long term commitment to serving excellent food. Restaurant Gaissa has a special Rovaniemi Menu based on local produce and changing with the seasons. The A la Carte menu displays Lappish dishes with a modern twist. Zoomit Bar and Café is a relaxed street level bar and its companion Bar & Grill Zoomup serves delicious dishes until late. Zoomit Lounge is a relaxed area for after work occasions and can be used for private events. Café Linna, a cozy cáfe, completes the restaurant offering of Hotel Santa Claus. Price on request, depending on choice of services and size of group.